When you think of Italian wine you think of a rich history going back centuries. Some of the oldest wineries still around are in Italy. Attems, located in the Collio Goriziano region of the northeastern Friuli-Venezia, is a mere 909 years young. The estate was a gift to the Attems family way back in 1106 CE from the Bishop of Salzburg. He was all "here's some land, now go plant some vineyards and make some wine" and they were like "that's not a gift, that's a project" and he was like "I'm giving you a job in this crappy economy" and they nodded and got busy working. That's how it went down in my head. You probably know of Collio and Friuli-Venezia for some of the most famous Pinot Grigios in the world, but some of the best wines from that area aren't really what you would connect to those centuries of tradition: Merlot and Sauvignon Blanc. 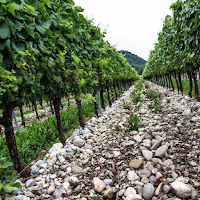 Those two French / International varieties are loving the soil and climate of Friuli-Venezia, and the success is slowly creeping over here to the wine lists and retail shelves of America. 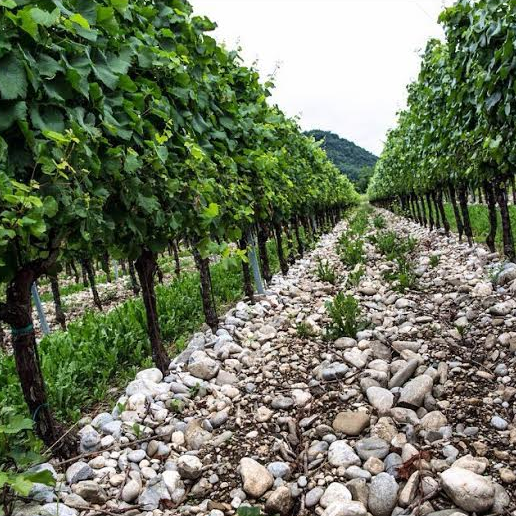 Within Collio is a hill named Cicinis that's home to a vineyard of Sauvignon Blanc vines. It spans five hectares on eocene marls and sandstone soil. 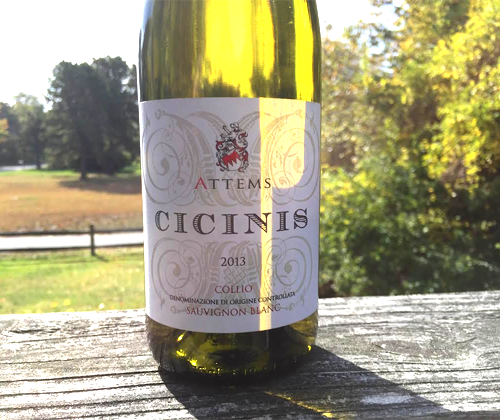 The wine that this vineyard produces is Attems' pride and joy, their signature product: Cicinis... the wine. 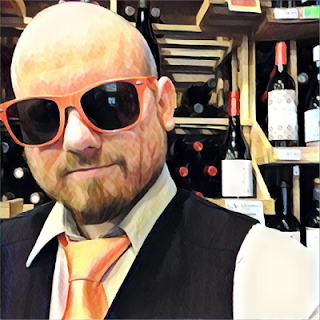 Today I'm reviewing the Cicinis 2013 and in a few days I'll be reviewing their Pinot Grigio Ramato 2014. The 2013 Cicinus is 100% Sauvignon Blanc. It's fermented with a little skin contact in French oak barriques, 20% new and 80% used. Then it spends eight months aging, 60% in French oak barriques and 40% in cement tanks. The final ABV is 13%. The package is very fancy and attractive. It's got an embossed pattern on the white label and excellent font use. A yellow neck foil and a little splash of red on the label uses the old primary color pull-in for attention. Great work on the package. The color of the wine is a darker straw yellow from the oak. The nose reminds me of the sugar free LemonMint Ricola's that helped me through a fight with a sinus infection that I just got over. Those things and Alka-Seltzer cold and cough are miracle workers. And antibiotics. Lots of those, too. Where was I? Ah yes, LemonMint Ricola. There's also honey and ginger aromas. The palate is much more subtle than I was expecting. I was actually preparing for some acidic fruit to kick up some heartburn, but none of that. It's on the mellow side and goes for more of a melon character with some passion fruit and vanilla. It finishes with a little kick of lemon, some stone minerality and a tiny taste of banana. The acidity is there throughout but at no point does it take over. Simply put: this is not what you're probably expecting. It's nothing like the Sauvies everybody knows and loves from California, France or New Zealand. And guess what? That's totally cool because Sauvignon Blanc is extremely influenced by its surroundings and soil. It's one of the best grapes out there for expressing terroir. I really feel like this is a food wine and the majority of Sauvignon Blanc drinkers in America won't be fans of this wine without food to accompany it. Attems themselves suggests that you pair it with pork and I couldn't agree more. Especially shake-and-bake pork chops, nomnomnom. For a rating I have to give it a 3 out of 5 for price vs. quality. So it's good and you're not going to feel like you got shafted for the price you paid. Adam Rogers on ordering a beer.